This is an anniversary edition of F# Weekly, we are together for 3 years already! Just wow! It was an amazing time, a lot of things changed in the F# world during this period, but one thing stays the same – you still read F# Weekly every week, thank you for that! In order to celebrate this date, I ask you to join “F# Advent Calendar in English 2015” and make this December unbelievably cool! First CoreCLR program that uses Paket. F# Day by Day – F# introduction in 20 daily lessons by Ralf Westphal. FSharp-JVM-Life – an F# Conway Game of Life running on the JVM. New outlining is coming to F# Power Tools. 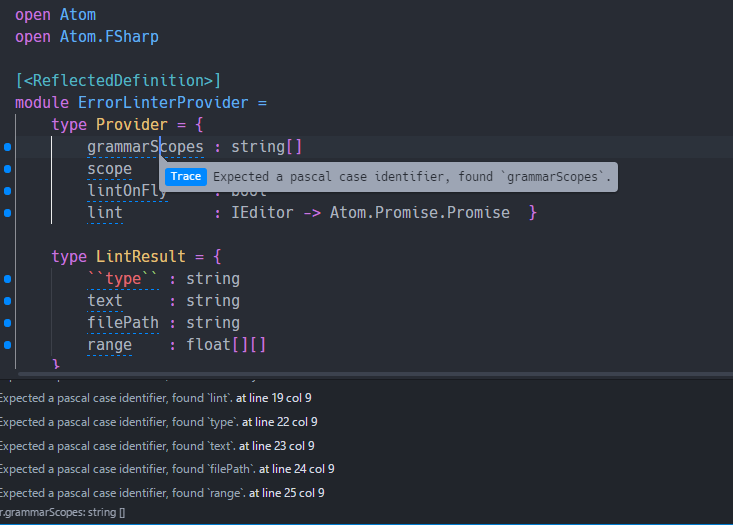 Ionide-fsharp v1.4 moved to SuaveIO based FSAC.